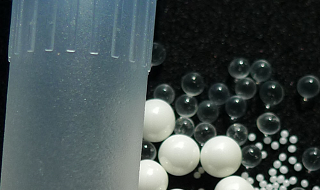 Grinding beads for the disruption and homogenization of biological material for your individual requirements. The homogenized samples can be further processed to isolate DNA, RNA, protein, lipids and carbohydrates. The beads are delivered in a plastic jar so that the beads can be easily dispensed without contamination. The beads are available in 100g, 200g and 500g amounts (prices for 100g and 200g upon request). 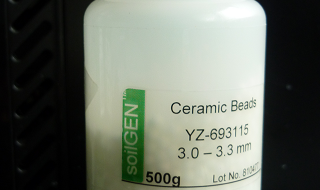 The ceramic beads have a high specific weight which means that the beads attain a high kinetic energy during the milling/grinding process for a more efficient disruption and homogenization of samples. Both types of beads are more resistant to breakage and wear than other commercially available beads. The main advantage of our glass beads is the particularly high elasticity of the beads which minimizes the breakage of the beads. There is less grit in the homogenized sample. 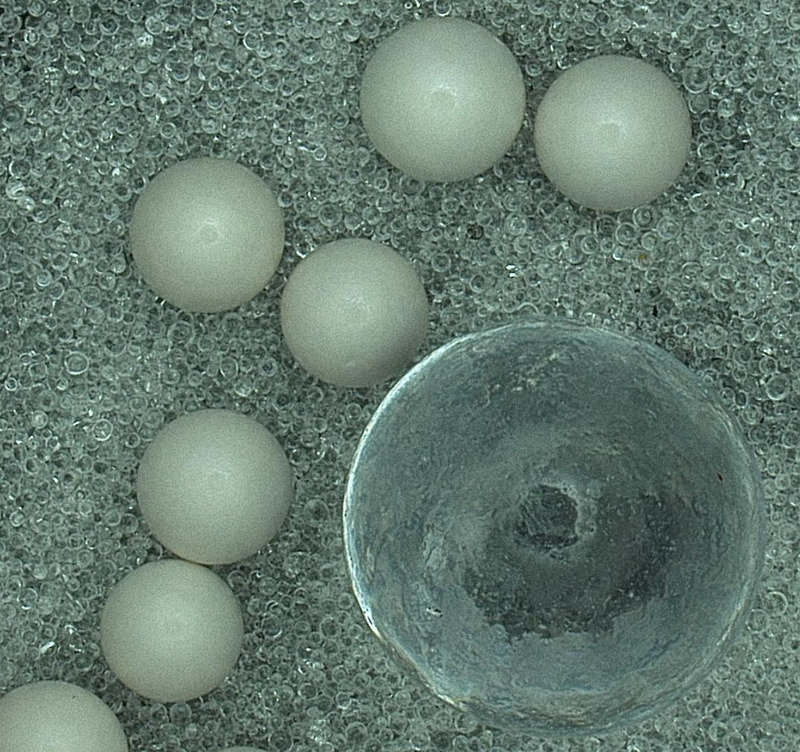 Also after spinning down the samples there is no floating up of the beads to contaminate the aqueous solution. The ceramic micro-beads have a bulk density that is almost double that of glass beads in the same size range making the grinding process more efficient. 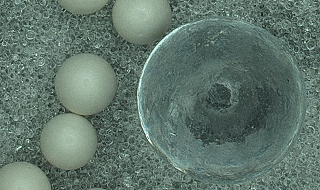 The ceramic beads type "Smooth" are made from zirconium silicate and manufactured by a sintering process. Due to the specific manufacturing process, these beads are free of enclosed air bubbles, dimples and do not have surface satellites. In contrast to the current market zirconium grinding beads manufactured by a smelting process these beads are absolutely non-porous. Thus, there is no annoying bead breakage and grit in the ground material and no loss of material. 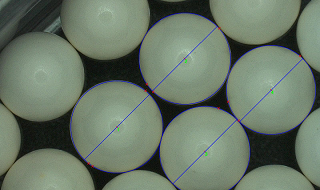 The beads with a high specific weight of 3.3 kg/l allow the beads to attain a higher kinetic energy during the milling process to disrupt samples more efficiently than normal glass beads. 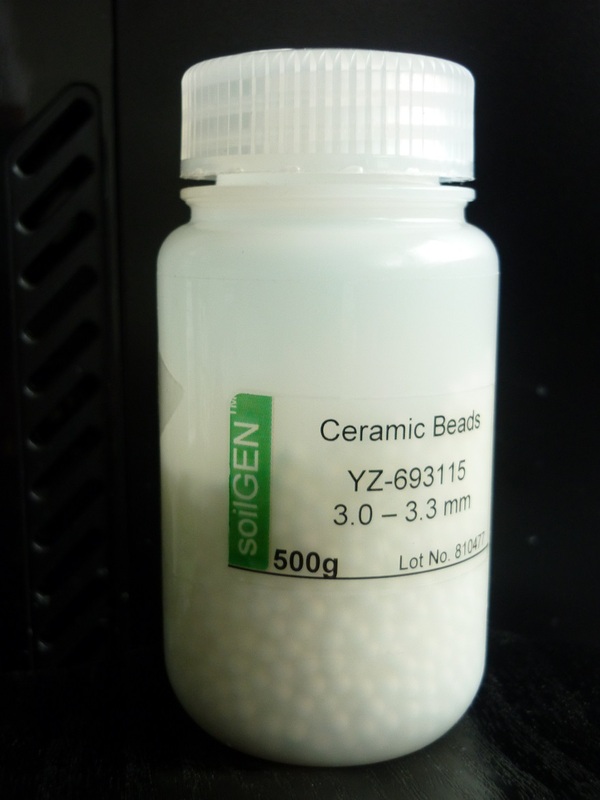 The ceramic beads type "Hard" are made of zirconium and are yttrium stabilized. 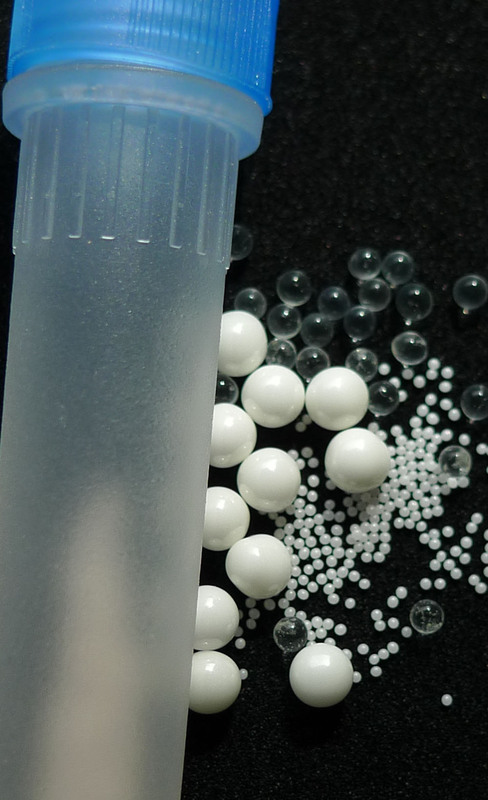 The addition of yttrium makes these beads extremely hard and chemically inert. The ceramic beads type "Hard" have a hardness (HV) of 1150 Kgf / mm2 and a toughness of 210 GPa which is double that of ceramic beads type "Smooth". 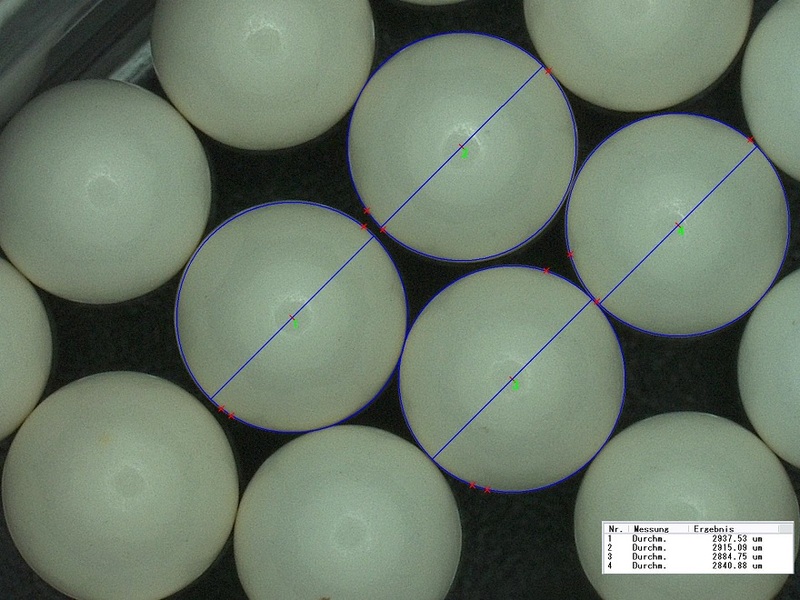 The ceramic beads type "Hard" also have a specific weight of 6.0 kg/l which is nearly 1.5 times more than ceramic beads type "Smooth" making them more suitable for grinding tougher and harder material (e.g. spores). The features of the new ceramic beads type "Extra Hard" are evident in use i.e. they are extremely resistant to wear. This property is based on the use of fine crystalline powder and materials of high purity in the manufacturing process. Also, the very near perfect spherical form and the densely polished surface of the beads contribute to this resistance to wear. Contaminations of the ground material are thus avoided, and ensure products of the highest quality. Highest standards of quality and ground material are guaranteed with the new ceramic beads type "Extra Hard". These beads are very good for leaves and most tough material. 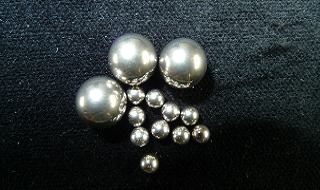 Highest standards of quality and ground material are guaranteed with the new Stainless Steel Balls. These beads are very good for leaves and most tough material. 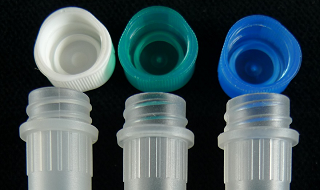 Plastic screw cap tubes are DNA, DNase, RNA, RNase and Pyrogen free and optimized for robust general laboratory applications. Reduced electrostatic charging of beads. A novel polymer technology has been developed and designed that produces a low retention polymer virtually eliminating electrostatic interference, sample retention and sample holdup. Combined with an advanced production process, the most consistent low retention plastics tubes in the industry are produced. Polymer resists DNA, RNA, protein, and lipid adherence and will not denature them. Manufactured without secondary substances such as silicone or heavy metals, which can contaminate samples. Kits contain grinding tubes and homogenizing buffer. Kits come in 50, 100, 500 and 1000 tube packages. soilGEN’s pre-filled disruption tubes are suitable and effective for Precellys24, FastPrep, QiPulsing Vortex Mixer, GenoGrinder, or HT Homogenizer and other homogenizers. 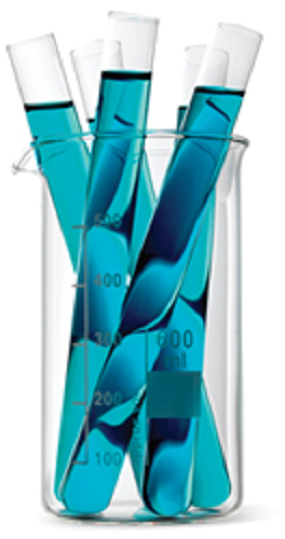 Our tubes for all biological samples are available and have been designed specifically for the appropriate sample. soilGEN can provide innovative solutions for your purposes. We focus on providing our customers with time-saving, cost-effective and turnkey solutions at the highest technological level. Pictures of some of our products. For more detailed pictures or information feel free to contact us. Christian Pfaff, Niels Glindemann, Jens Gruber, Margrit Frentzen and Radin Sadre J. Biol. Chem. 2014, 289:2675-2686.
soilGEN™ ist die geschäftliche Bezeichnung von Dr. Bob Kosier gemäß §5(2) Markengesetz. soilGEN™ is the commercial name registered by Dr. Bob Kosier according to § 5 (2) of the Trademark Act.